Succession is an American 60 minute scripted family television series, which kicked off on June 3, 2018, on HBO and is broadcast every Sunday at 22:00. The show is currently in its 1st season. HBO has officially confirmed the renewal of Succession for Season 2. The exact release date is yet to be announced so far. Sign up to track it down. 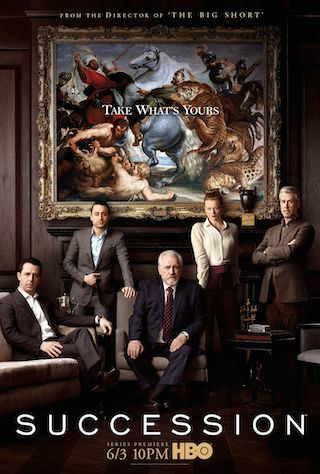 Succession follows the saga of the Roys, a fictional, American global-media family that is not only rich and powerful but also powerfully dysfunctional. The drama will explore family loyalty, international business and the perils of power in the 21st century. Following the show's recent premiere, HBO has renewed the drama series SUCCESSION for a second season, it was announced today by Casey Bloys, president, HBO Programming. The Roy family drama continues.